Maysa Villela Fernanda Rezende Souza holds a Bachelor’s degree in Biological Sciences (2010), Master’s in Applied Ecology (2012) and doctor in in Applied Ecology (2016) from the Federal University of Lavras. She is currently a os-doc researcher associated to the Center os Studie sin Subterranean Biology at the same University. 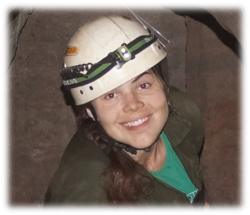 She developed her Master's project on the cave ecology in the region of Cordisburgo - MG and her thesis on the ecology and taxonomy of arachnids of the order Palpigradi. 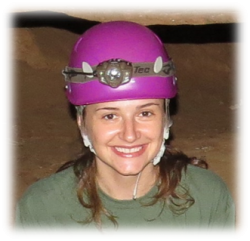 She is currently working on the taxonomy, biogeography and ecomorphology of Palpigradi. Rafaela Bastos Pereira bachelor's degree in Biological Sciences and a graduate student in Applied Ecology at the Federal University of Lavras. Initiate in 2014 a doctorate in Applied Ecology at the same institution. Currently working with taxonomy and ecology of Amphipoda (Crustacea), with emphasis on gender Hyalella. 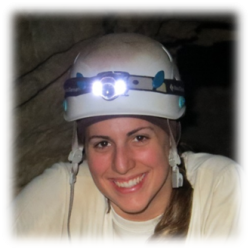 The overall objective of the PhD project is to study the ecomorphology amphipod from different families, which inhabit the caves of northeastern Brazil.